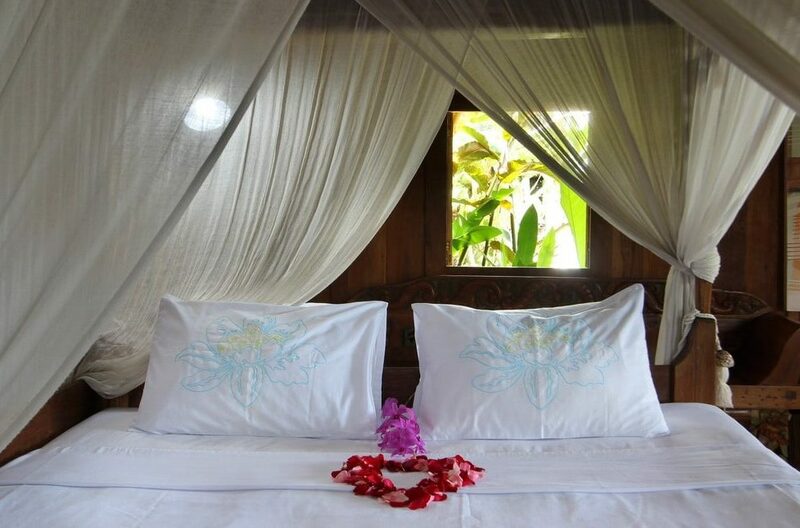 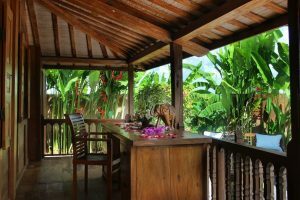 The sleeping accommodation in this slice of paradise is based around 3 separate,traditionally styled bungalows placed around an extensive pool and lush tropical garden. 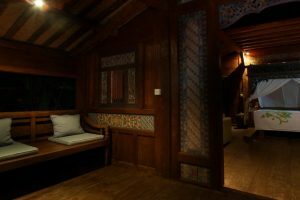 These buildings are based on the authentic designs of the Gladak and Limasan houses traditional in this part of the world. 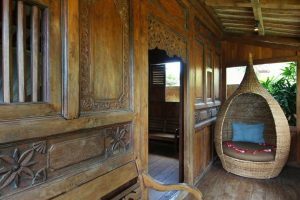 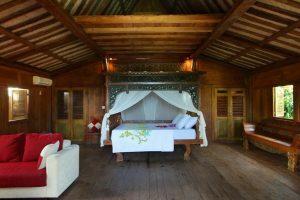 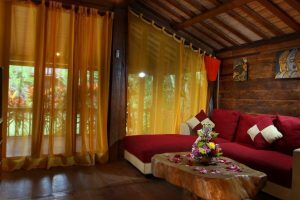 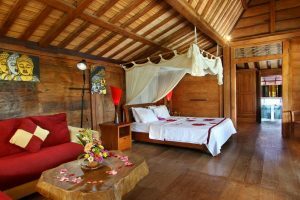 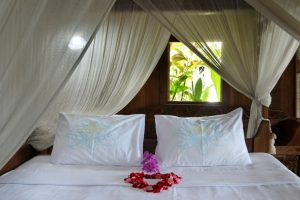 Each exquisitely crafted, wooden bungalow contains a king sized bed, a comfortable seating area, a TV and is fully air conditioned. 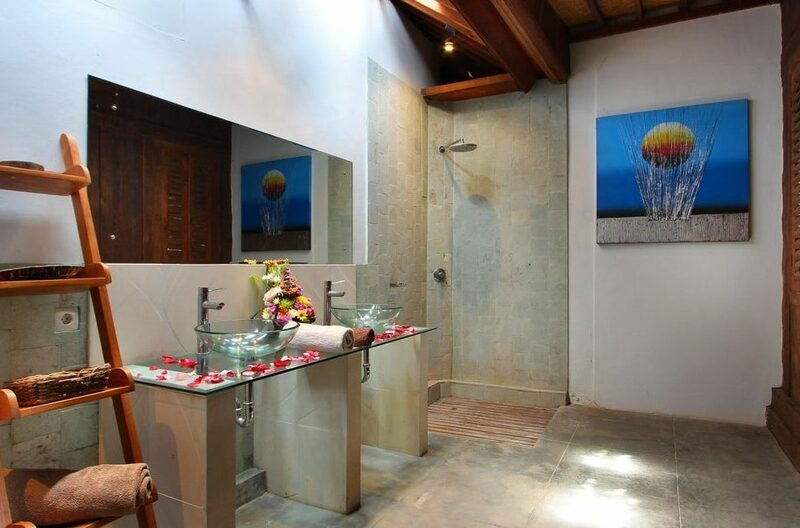 These are all beautifully furnished in colours that speak of the orient and all have beautifully appointedensuite bathrooms with contemporary features. 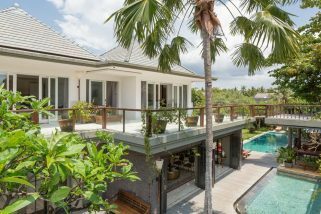 Each of these charismatic houses has a terrace with seating which looks out over the rambling nirvana of the poolside garden. 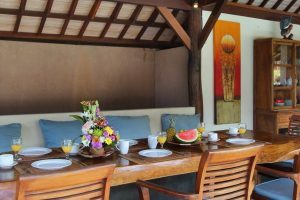 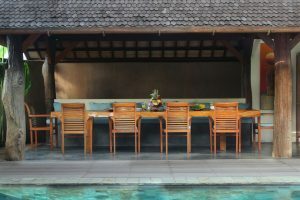 On wooden decking, surrounding the pool, sits a number of comfortable loungers ideal for whiling away a relaxing afternoon.Down the long of the pool is a generous dining area with a well equipped kitchen at one end. 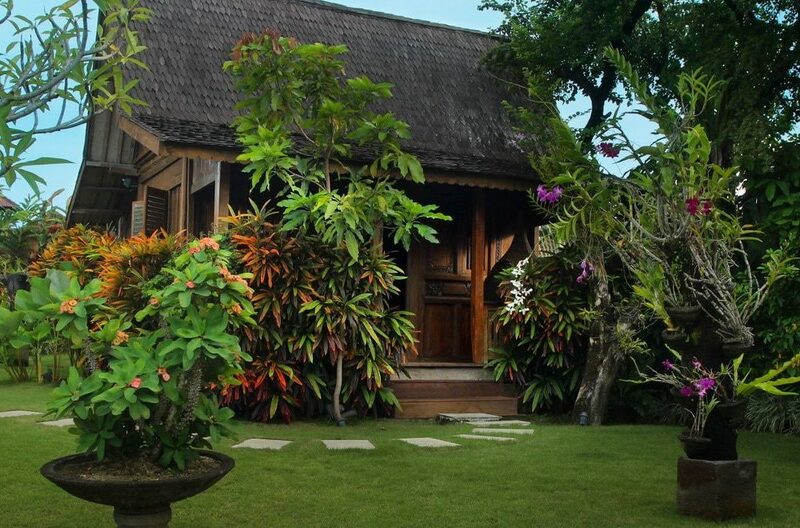 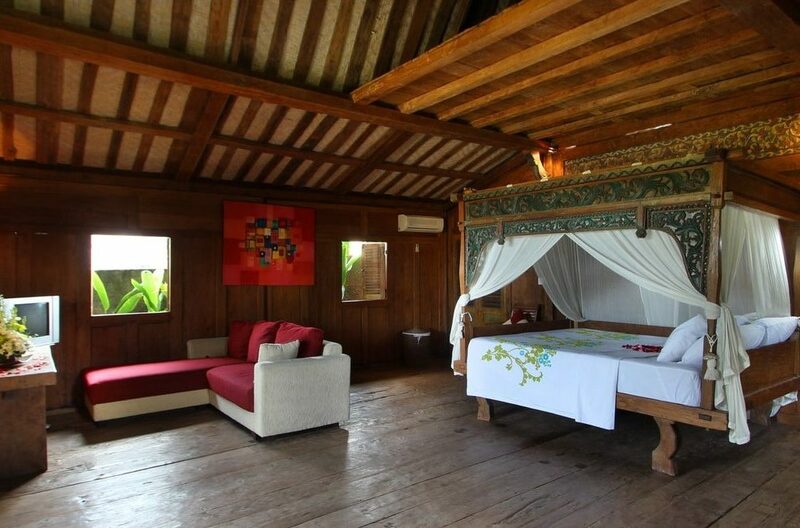 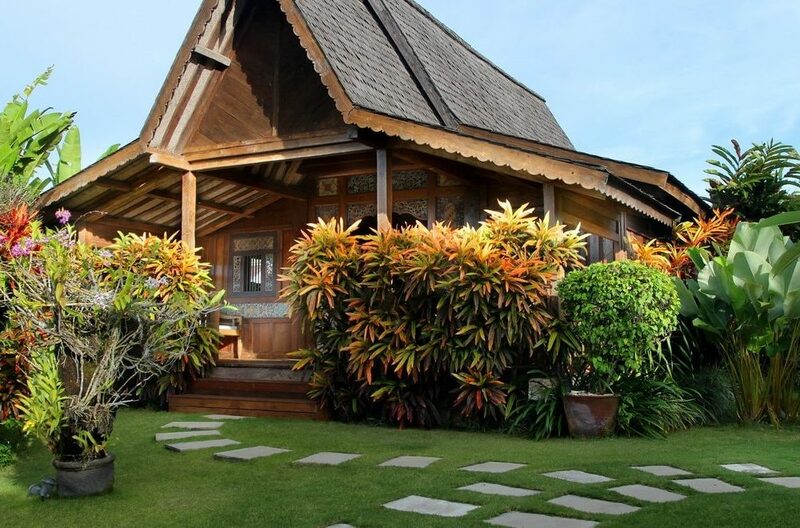 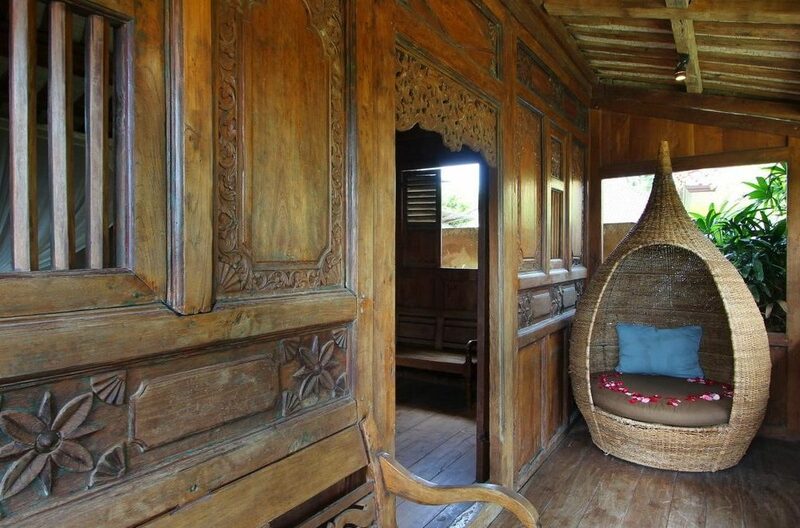 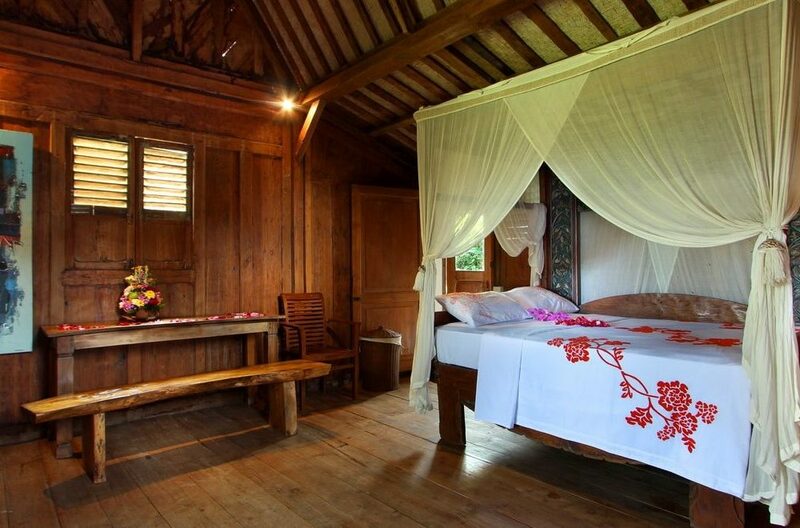 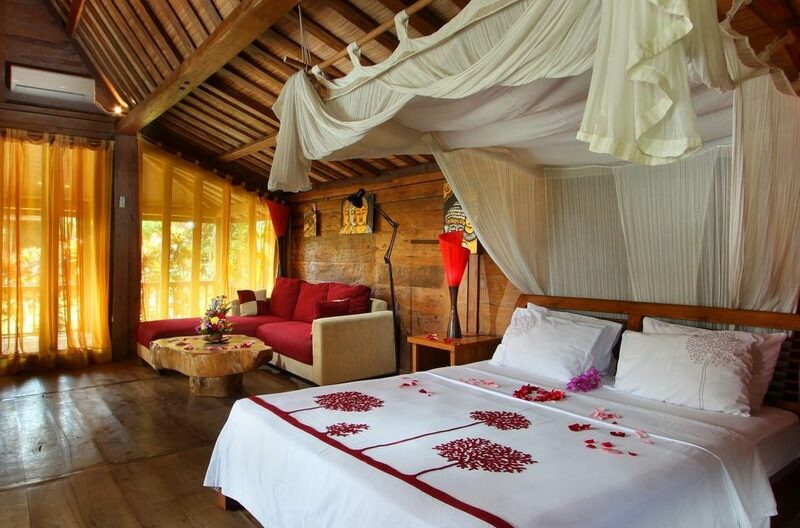 This is delightfully open to the elements on one side and capped by an authentic alangalang or thatched roof. 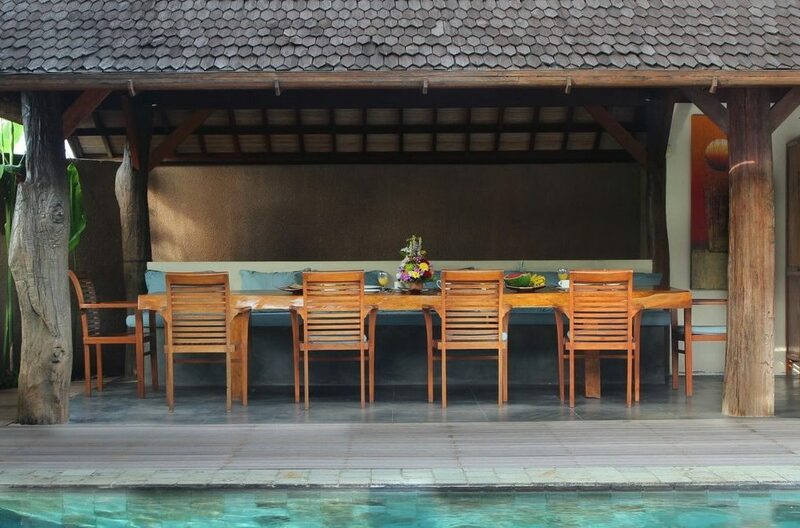 This is an idyllic location for semi alfresco holiday feasting. 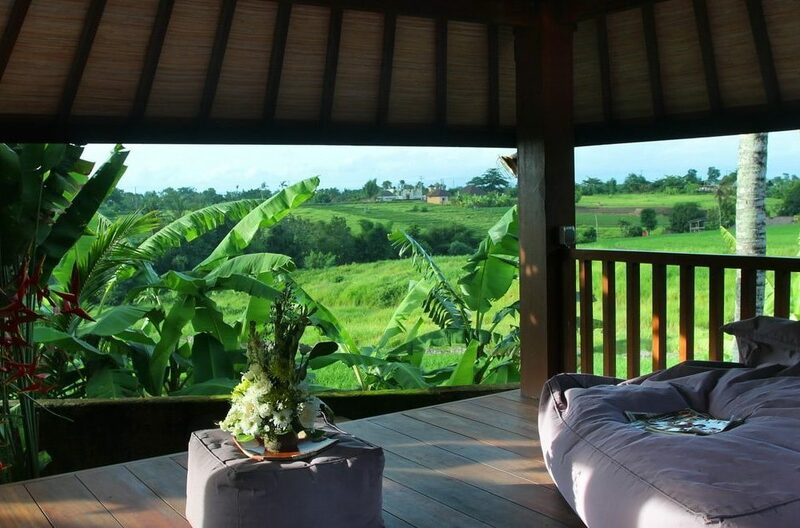 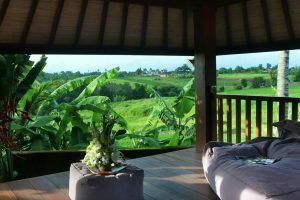 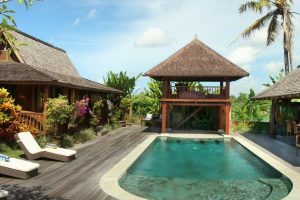 At one end of the pool is a two story gazebo offering panoramic views of both your own private enclave of tranquillity and the natural beauty of the rice paddies beyond. There is really no better location to capture the spirit of the island while your every modern whim is taken care of. 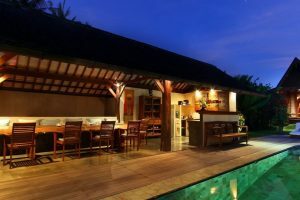 As already mentioned this, property is in the area of Canguu which has many good restaurants and access to some of the best surf spots in Bali. 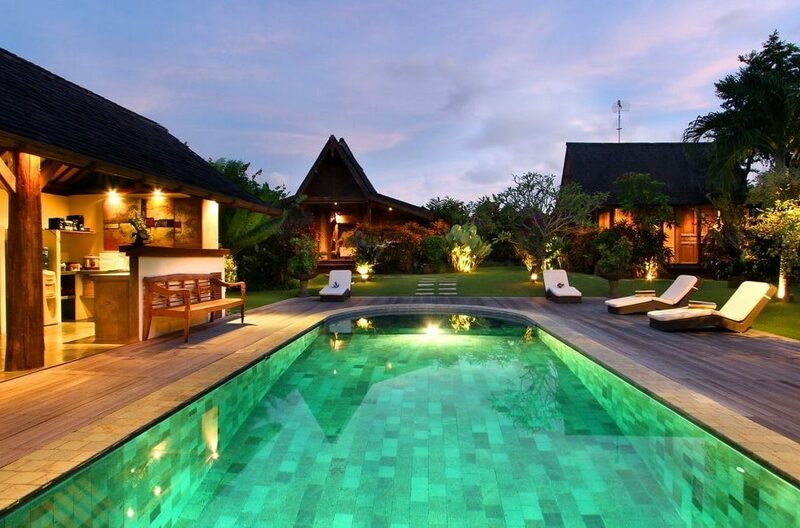 Moreover, it is only a short 15 minute drive to the vibrant, stylish resort of Seminyak which is filled with trendy boutiques and more night life options. 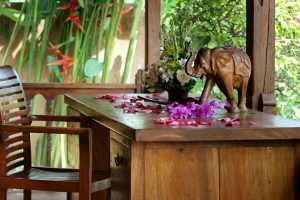 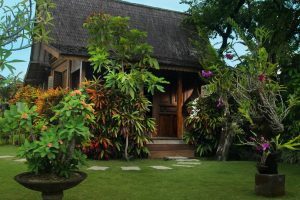 This villa is staffed by a full time maid so you don’t have to worry about the daily tasks of living and is in the capable hands of our 24 hour security men. 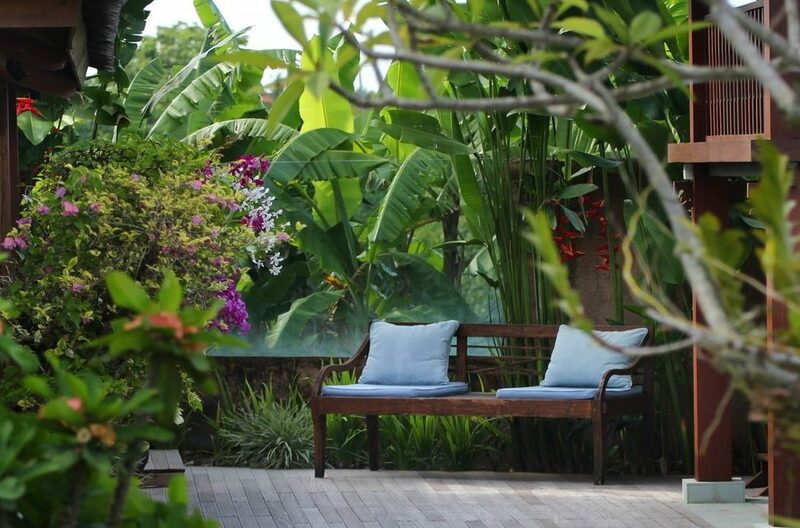 Further to this, for your convenience, we provide a mobile phone with a local number. WIFI is available throughout. 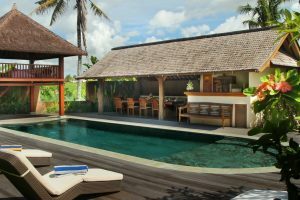 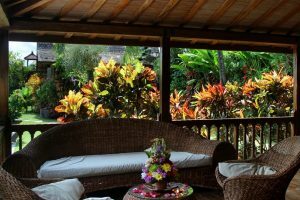 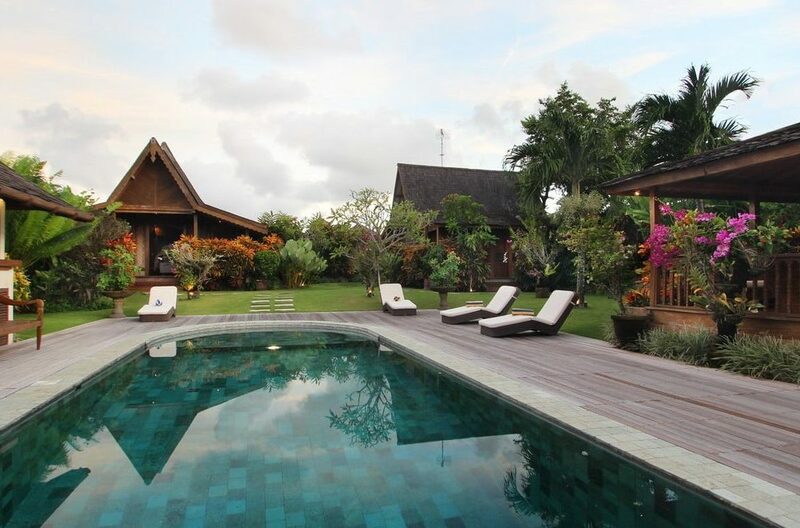 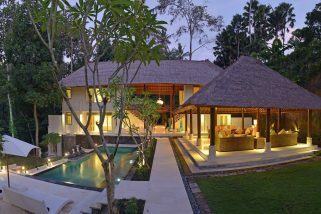 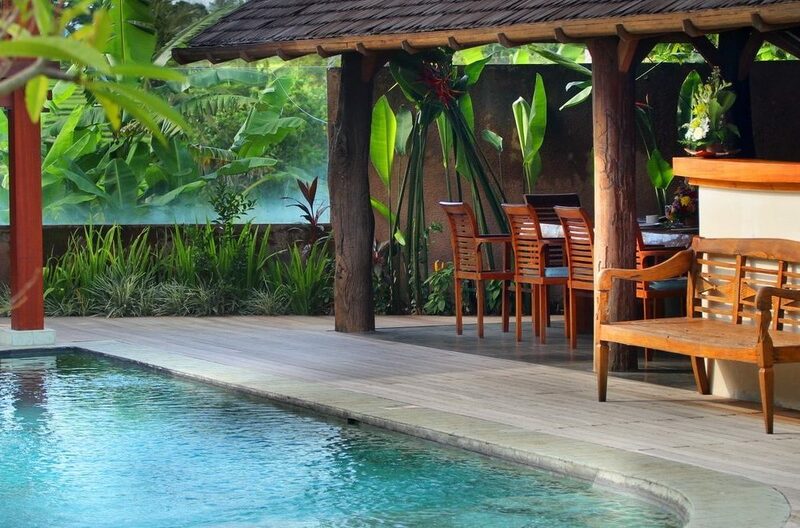 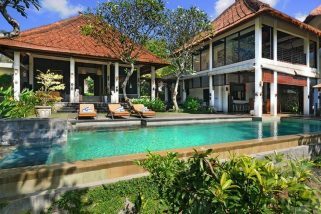 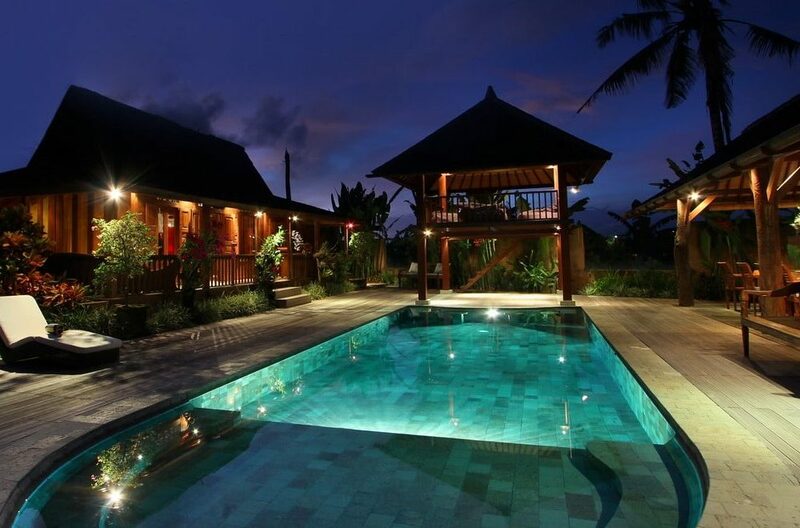 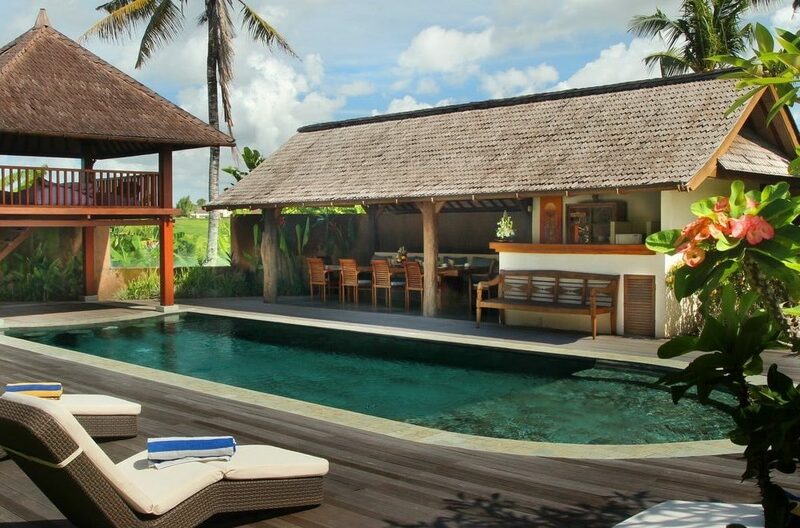 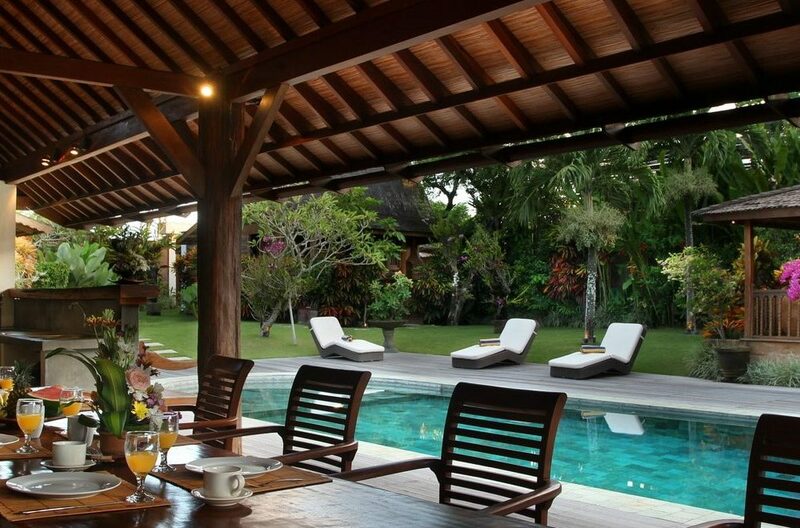 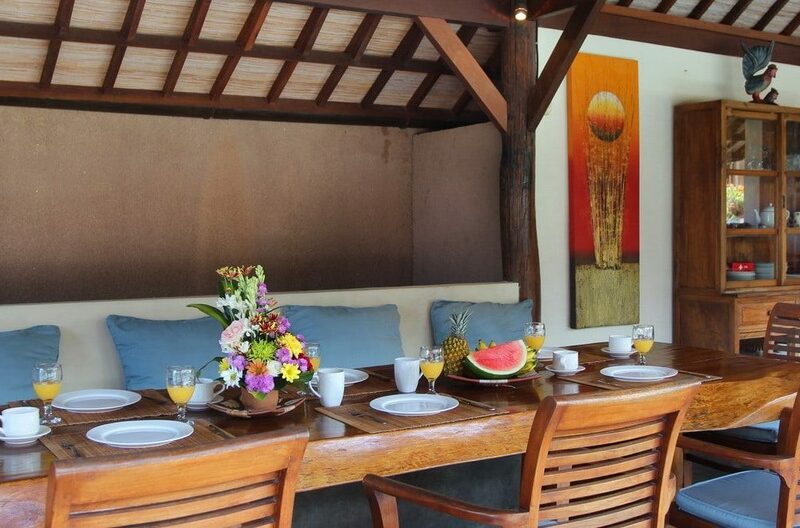 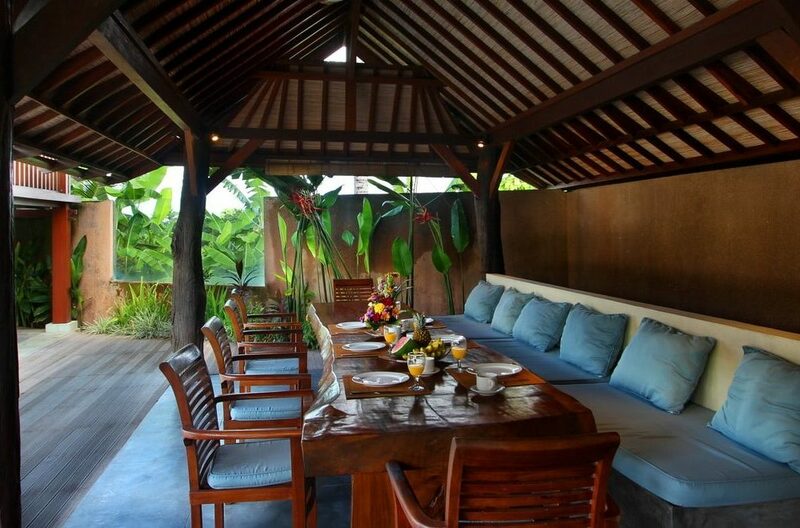 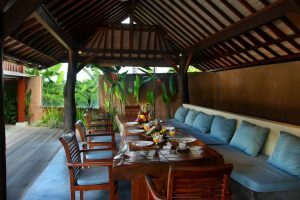 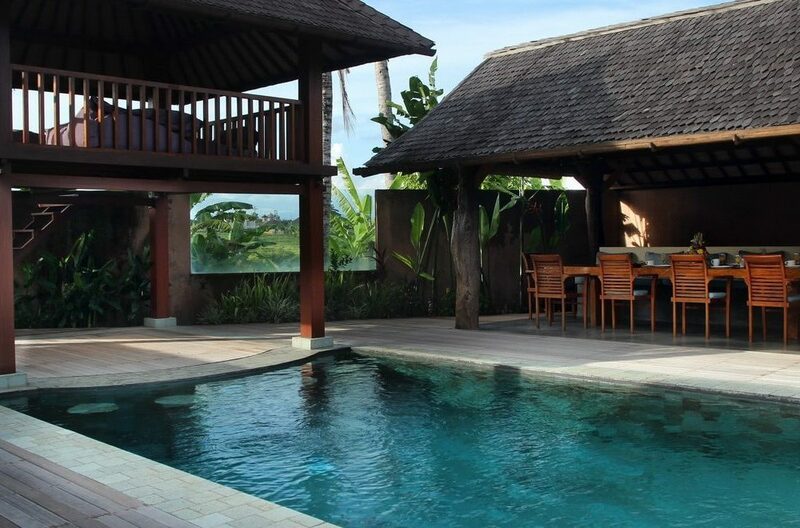 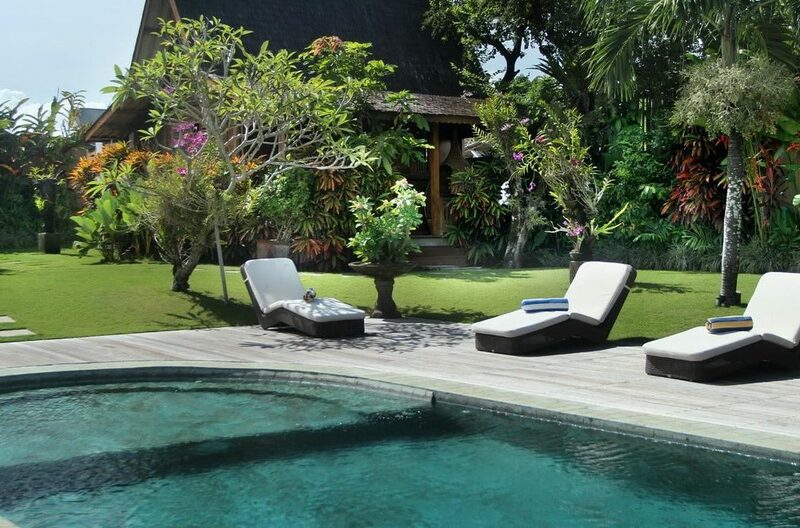 Villa Nawang Wulan is located in the most newly sort after tourist area of Canggu, where you find great surfing beaches and a huge array of brand new cafes, boutiques, restaurants, yoga studios and beach clubs, that would traditionally have only been found in Seminyak are now right on your doorstep.